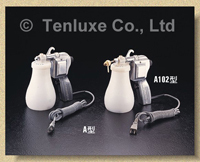 In the early years, Tenluxe supplied Textile spray cleaning gun and textile stain removal products to the highly developed knitting, dyeing and printing industries in Taiwan at the time. 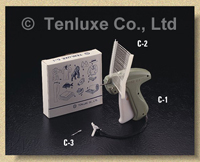 In 1969 Tenluxe purchased sophisticated machinery that was ultimately used to produce Taiwan's first aluminum electric cleaning gun. 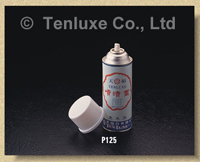 Our cleaning gun, textile stain removal products including Tenluxe Cleaning Gun series, Cleaning Spray Gun series, ink solvent Naphtha, Inkcleaners, Puff series, Snaxin product series, lubricant and so on. 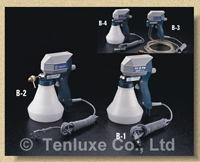 Most of the machine oil stains and dust on textile materials can be easily cleaned with the Tenluxe textile cleaning gun. Aluminium alloy structured type A is especilly designed for textile factories with large work-loads strong spray, with a minimum of cleaning solvent exhaustion. Light-weight electric cleaning gun B-1 involves a totally different style of design. 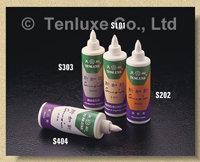 A stream-line Nylon outer shall, strong sprays with economic solvent exhaustion, and comfortable hand-hold are its specialties. Most suitable for textile manufactories and laundries with medium and light work-loads. 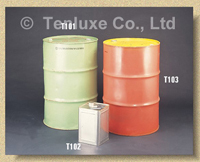 Trichloroethane is the currently one of the most utilise nonflammable cleaning solvent with the quickest cleaning speed, popularly used for textile cleaning gun. 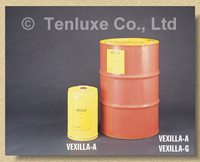 Naphtha is mainly used on dyed material which are unstable, compare to trlchloroethane it has slightly less cleaning strength and is flammable. 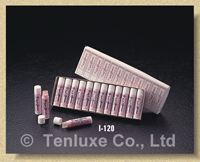 Some stains, even with strong sprays of Trichloroethane and Naphtha, can not be cleared totally and will only have a bad effect on the best materials, such as silk and fine-knite clothes. The multi-purpose inkcleaner® is the textile cleaning gun's main complement. Apply onto less-easily removed stains, such as ball-pen, Lipstick, Oil base ink, animal, vegetable, mineral oils or mud stains, then spray with cleaning gun or rinse with water.